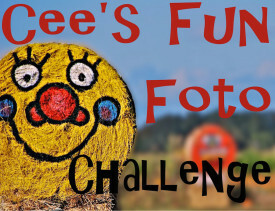 This post is for Cee’s Fun Foto Challenge. This week’s theme is yellow or orange flowers. I hope you all like them. Wonderful and colourful post. The last one (with the yellow rose) is amazing! Thank you. 🙂 I’m glad you like it. The yellow rose bush is one of my favourites to photograph – it keeps flowering until November, long after the rest of the blooms have withered away. Beautiful captures of these bright yellow and orange flowers! Thank you, Amy. I always love taking pictures of flowers. 🙂 I’m glad you like them. I’m glad you like them, Katie. 🙂 It’s been a miserably cold day here as well! Thanks for visiting. Thank you. 🙂 I’m glad you like them. A bright and happy gallery!! Beautiful! Thanks, Aletta. 🙂 A splash of bright, sunny colour is good medicine for the winter blues! Such a gorgeous gallery of yellow and orange flowers. Thanks for playing. Thanks, Cee. 🙂 I really enjoying this set of themes!